As a way to get important exercise while being kind to your joints, swimming is an excellent way to work your body out without the added stress of weight and gravity that can make other activities like running or sports hard on your body. The natural resistance of water can help build muscle strength and tone. As a substance more dense than air, every movement performed in a pool is a resistance exercise. The broad range of motions used in every stroke can help your joints and ligaments stay loose and flexible. Swimming can helps stretch important areas of your body to keep you limber and more mobile. As an aerobic exercise, swimming can strengthen your heart, which can make it more efficient at pumping blood throughout your body. Just 30 minutes a day of an activity like swimming can reduce your chances of coronary heart disease! Swimming is a high calorie burning activity that can help you in shedding excess weight. To maximize effects, include interval training components to your regular swimming routine. Oftentimes dry air inside gyms or seasonal allergies can exacerbate exercise-induced asthma. A pool however, can make a great destination for exercise and is known to improve symptoms such as mouth-breathing, snoring, and asthma. Far from comprehensive, this list showcases that swimming is a great boon to your health and wellness. 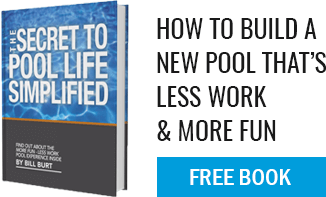 Let Aqua Pool help bring your pool up to speed so you can reap the rewards of swimmer’s lifestyle!